It seems the megapixel wars are upon us again! We at Techtemplar have taken it upon ourselves to enlighten people about megapixels and phone camera workings!! If I were to state one of the highest form factors that people choose when selecting a phone it would be the Camera…well after the processor and display. Then again, Under the photography department the single highest point that drives consumers to pick a phone should be the megapixel count. You see, people are more likely to choose a phone with a high megapixel rating than one with less. You stand at a shop trying to choose what phone would have a better camera performance between a 24MP and a 12MP. Then you hear of a phone with a whooping 48 megapixels! phone marketers try to cram a lot of megapixels into their phones so as to appear more enticing to potential buyers. Ask any normal person on the street and he’ll tell you that a 24mp camera would beat a 12mp camera hands down. Maybe….. But does that mean that a Nokia Lumia 1020 with 40mp would beat a Standard DSLR with 12mp? Now that’s where we pin our question. Let’s start with the basics and learn what a Megapixel is. You know what a wise man once said, to know what a megapixel is you have to think like a Pixel. To define megapixels properly, we must first define a pixel. A pixel is simply the smallest element in a visual image. Back in the days of the old television sets, I bet you could notice tiny squares that on the TV when a movie was showing. Now that might not be possible now with the modern ones because developers just cram more pixels into TV spaces. Think of a pixel like the atom of the Optical Display world. A pixel in a digital camera captures the image data of the subject( what you’re taking a picture of) in a connection to a reflection of the light coming from the subject. The pixel collects the light and turns it into data. The data is the processed to become a final image. So that means pixels work with light right? Ever wondered why low light shots are poorer than perfect light shots? We’re coming to that. A Megapixel is equal to 1,048,576 pixels. Or just say a million pixels. When the pixel collects the data it comes with some kind of grain like poor colour bits. Those bits are called “noise”. That’s why low light shots are poorer than brightly lit photos. Low-light makes it harder to distinguish between noise and optimum photos. A megapixel is the normal count of pixels in an image. Simply put, a 5MP camera would capture 5 million pixels, and a 48MP camera would capture 48 million pixels. Cool right? In fact the world pixel is a combination of two words; Picture and Element. Yes. Megapixels play an integral role in image production. Where they shine more is when you take zoomed photos or just crop out the part you want from a picture. They also play a good deal in printing but we’re not going into that for now. The higher the amount of megapixels on your camera, the higher the amount detail that could be captured. For example a 8MP camera would capture about 50% more detail than a 6MP camera in an image. And double of a 4MP camera which is about four times that of a 2MP camera. A 20MP photo cropped out would have ”Spare” megapixels compared to a 12MP camera. 3.0: Do higher megapixels translate into better photo quality? No. more megapixels does not mean more quality. There are other factors that come into play other than megapixels. The overall quality of a camera or even a photo is determined by the Sensor quality, not only by megapixel count. The size of the sensor and pixel also takes its toll and not to mention the quality of the lenses used. 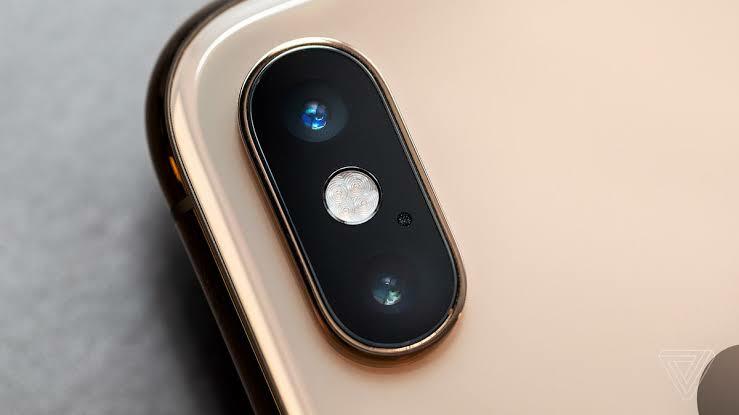 Therefore, don’t be surprised when a smartphone that has a lower megapixel count but better sensors and lenses getting the job done more than a smartphone with higher megapixels. Notice this, the more pixels being crammed the small the smaller the area size in the camera sensor to collect the light ray in a junction to the pixels themselves. The sensor and the lenses must align the light direction to produce a satisfying photo. take bad photos. 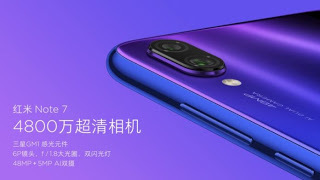 That’s why the Samsung galaxy S9 and the MI 8 has a standard 12MP camera sensor. Cramming a lot of pixels into a sensor seems easy but the higher the pixels the smaller they become in order to fit in the sensor. Small pixels are also prone to noise. Larger pixels on the other hand collect good bits used to create an image. Pixel sizes are measured in micron. For example, Samsung’s galaxy S6 had a 16MP camera. The pixel size here was an effective 1.12 micron. On the other hand, the newer S9 has a pixel size of 1.4 micron, on a 12MP camera. You can’t say the S6 is better than the S9 now can you? More megapixels would just increase the file size of your picture and eat up storage. For a fixed storage phone with no expandable means this can be a problem. Nice question! 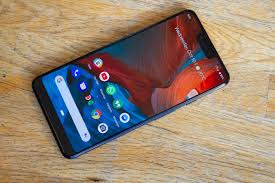 If you’re not walking into a store to buy a smartphone, and you have some time to research check out these other form factors regarding your prospective phone. Mobile phones have smaller build than DSLR cameras hence the reason why they can only host smaller sensors. The more pixels you try to put in a sensor, the smaller they need to be or you increase the sensor size. A bigger sensor would collect more pixels just like a Jar collecting more cookies. You can break the cookies (maybe grind) to fill the jar or you can just try to fit them as large as they are which is better because no one wants to eat broken cookies. As said above larger pixels produce better photos. Even apple’s Senior VP of worldwide marketing Phil Schiller during the launch of the IPhone 5 was quoted saying ‘’ Bigger pixels mean better pictures’’. As a follow up to the first point, Smartphone developers are working on means to better low light sensitivity and also reduce noise concentration. These are centred on increasing both pixel and sensor size. 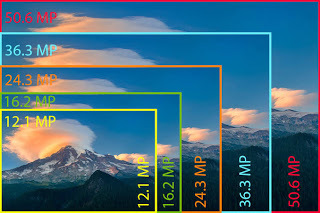 The sensors of DSLR cameras are usually measured in height, width in millimetres (mm) but in smartphones its measured in inches or fractions of an inch. For example: Huawei’s P20 has a 1/1.7-inch sensor (in line with the 5th point). But in the case of pixels, the larger the size can help in better photos too. For example: Google’s Pixel 2 has a pixel size of 1.4 micron on its 8MP sensor. The Google Pixel 3 XL, There’s a reason google named it Pixel…. Another form factor often neglected is the aperture of the camera on the phone you like. The aperture is the opening by which light comes in. This plays a good deal in low light conditions, thus makes it a good factor. Note: The lower the f number, the more light can pass through. For example: Samsung S9 has a dual focus aperture that gives you a choice of f/2.4 or f/1.5. Google’s pixel 2 has a aperture of f/1.8. Please forgive us, but if you check the other factors you can surely let this one slide hehe. Just in these modern times, A 12MP camera would definitely do better than a 1MP camera. So that’s enough to keep you armed against the upcoming battle. Hopefully it won’t come though. Lets hear your thoughts and also, we will soon drop a guide on what dual camera Set-up is best for you in 2019. Thanks alot for educating me about it… I surely believe it gonna be useful.